Today’s guest is a guy who came in with software that allows e-commerce sites to sell online. The elephant in the room is Shopify. So why would this guy come in and compete with such a success in the e-commerce space as Shopify? I’m going to ask about that and how he’s turned it into a success. 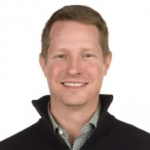 John James is the founder of Engine, an e-commerce platform focused on conversion and content. Andrew: Hey there, freedom fighters. My name is Andrew Warner. 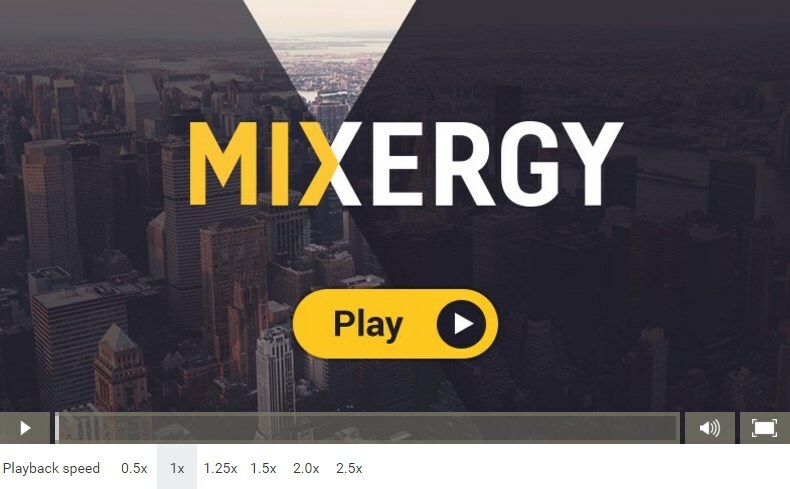 I’m the founder of Mixergy where I interview entrepreneurs about how they built their businesses, and I do these interviews for an audience of real entrepreneurs. People keep telling me, “Why do you say that, Andrew? It’s unwelcoming to someone who might be dabbling in podcasts and is just listening to your interviews.” I want to set the stage. I want everyone to know. I asked the types of questions that real entrepreneurs care about, and I’m not here to give you the fantasy of entrepreneurship which is, I think, a little too thin for real entrepreneurs. Okay. So today’s guest is a guy who is coming in with new . . . It’s not so new anymore, but with software to allow e-commerce sites to sell online. And the elephant in the room is that there’s Shopify out there, and Shopify is a massive success in e-commerce. And why would this guy come in and compete with Shopify? And if he is, how could he compete with Shopify and how could he hope to even succeed with a brand new competitor? And in most cases, you’d hear people say, “It’s never going to work,” but in this case, you got to believe that he has a strong shot at it and the reason is an entrepreneur you’re about to meet is John James. He is a guy who’s been in e-commerce going back to 1994. His most successful e-commerce business is one that you probably have interacted with in one form or another probably on Facebook. It’s a collection of e-commerce sites called Acumen Brands. We’ll find out how he started that business, what happened there and why the result of that story left him with what he told our producer is a chip on his shoulder. And we’re going to find out how he started Engine, this new platform for selling online and how he’s already generating some significant sales with it. This interview where we talked to John James about it and probe him about how he’s going to compete with some of the giants in the space is sponsored by two companies you guys all know. I hope you should know about them. The first will help you find phenomenal designs, it’s called DesignCrowd. And the second is a company that I immediately call every time I moved to a different city so that I can get good office space from them, it’s called Regus. If you need an office space, I’ll tell you why they’re the ones to call. But I’ll tell you about them later. First, John, good to have you on here. John: Hey, thanks for having me, Andrew. Glad to be here. Andrew: John, with Acumen, what kind of revenues did you hit at your height? John: We had a $14.5 million a month, so around $100 million run rate, and that was up from about $100,000 of revenue on that one site probably nine months before that. So a pretty massive growth. Andrew: Well, hold on. I’m sorry to interrupt you. I should not interrupt someone when he’s just getting started. But wait. You’re saying in one year you went from $100,000 in sales to how much? John: We had a $14.5 million a month. So the one brand that really took off was one called Country Outfitter. It sold cowboy boots. And it went from $100,000 in June of 2012 to $14.5 million six months later. So it was . . .
Andrew: So I know that that business was a little up and down, right? Andrew: People were flooded with it. Everyone saw the boots on, the Country Outfitter Boots on Facebook. it felt like. I heard one statistic that it was . . . what was it? Like 9 out of 10 people saw it on Facebook? Does that sound right? John: It’s possible. And we targeted about 18.2 million different people which is what? A 10th of the U.S. population of Facebook. Andrew: Oh, the reverse, 1 at a 10. Okay. John: Yeah. But friends of friends probably saw the sharing. I wouldn’t doubt it for a very short period of time was up in that 9 out of 10. It was pretty annoying how ubiquitous it was at one point. Andrew: Engine is fairly new. Where are you guys now with revenue for Engine? John: Yeah, we’ll do about $1 million [inaudible 00:03:49] five clients that we on-boarded. Andrew: You actually just broke up for a second. You were going to do $1 million how long? John: Yeah, about $1 million. This year we have five clients signed up using the platform today, and we have multiples that should close in the next couple three weeks. So not bad for the first three or four months of sales here. Andrew: So you’re saying that with under a dozen clients you’ll do $1 million a year? John: We have to start off a little bit differently than a Shopify, so we have to do some bespoke work. So some of that is services revenue. So we’ll come in and build a custom site on our platform and really hold the hand of the entrepreneur trying to build an e-commerce business. So if our first 10 aren’t successful, we can’t have 100 clients. So we kind of dive in really as their development agency and their software provider for the first few clients at least. Andrew: Got it. All right. Let’s go back to 1994 because I’m fascinated that in 1994 you were online. This is way before most people even understood what the internet was and frankly before it was that useful. It was more of an academic platform, right? John: Yeah, it was. I had done bulletin boards from 1989 to ’90, so I had four phone lines in my bedroom, and then I came to college, literally the perfect year in ’93 and I had internet connection. Andrew: Well, sorry. Again, I got to keep interrupting because I’m freaking fascinated by you, John. Every time you say something I want to just spend a whole interview covering that. Wait. You had a bulletin board with four lines into your house? I always wondered, what was the point of having a bulletin board? Why would you invest money at the time when phone lines were expensive and manage a bulletin board service? You’re an entrepreneur. What was the benefit of that? John: I charged people $10 a month for access and really just cash flowed into buying the modems, and I bought the modems for fun where I could dial out into other bulletin board systems. So, yeah, it was pretty neat. It was called the Laughing Pancreas of all things. Not bad for a guy that turned out to be a doctor. So it was me and my co-founder actually at Engine. I’ve been working with Jim since we were what? 14, 15 years old and that was our first project together was that bulletin board system. Andrew: Jim was your college roommate. Did you . . . So does that mean that the Laughing Pancreas started in college? John: No, it started in high school. I think I was in 9th or 10th grade and Jim was the smartest kid a year in front of me in a little town in Benton, Arkansas. Andrew: So I’m seeing computer passion, bordering on geeky. And I’m only saying bordering because I want to be nice to you. Andrew: And I could see the medical part. So you decide, “I’m going to go be pre-med.” While you’re doing that, you’re playing on the internet. You discover an opportunity. What was the opportunity that led you to create your first full-on e-commerce site? John: We had just won the state championship in Quiz Bowl in Arkansas. We’d actually beaten the national champions a couple times on TV, so we were really good. So I grew up fairly poor, lower middle class working family and I saw an opportunity to make money, honestly, and it was writing Quiz Bowl questions and study aids and eventually building a buzzer system. So I started selling it through direct mail. And what I found was, “Hey, the math is awesome. I love this.” I mean, I’d check out every book I could get from the university library on direct mail, and then here’s the internet. So the logical progression from direct mail at the time was to build an e-commerce site. So I was one of the first, I guess. I mean, in hindsight, it just seemed logical but . . . or at the time it just seemed logical in hindsight, boy, it was not logical I guess. Andrew: When you were doing direct mail, what kind of ads were you placing and where or was it . . . Oh, actually, it’s direct mail, so it was you mailing letters to whom? John: It was to Quiz Bowl coaches around the country. So there were, I think, 31,000, 32,000 schools and we’d mail them four times a year, and we drive them back to our web page. And the first e-commerce site we had was, boy, it was so rudimentary. I don’t think . . . It definitely wasn’t secure. I mean, it was just me hacking together some HTML and allowing people to type in school purchase order numbers, and of course some people would type in credit card numbers, which is a little scary in hindsight, but it was neat. We did probably 20% of our business online even in ’95. Andrew: Otherwise what they would do is just fill out a little form that you mailed them, mail it back to you and then you would send them the quiz questions. John: You got it, yeah. John: Yeah. A little both. It was a computer-aided buzzer system that I helped engineer and wrote the software for. So it was . . . Yeah, it was a pretty neat little business. I don’t know how I . . .
Andrew: What kind of revenue are were talking about? John: Oh, it wasn’t much. I think we did $250,000. John: Yeah. And . . .
Andrew: But you were a student. That’s great, isn’t it? John: Well, yeah. I made more than I would have as a family practice resident. I mean, I think we had 75% net margins at the end of the day. I mean, only one expense was printing and mailing direct mail flyers. So it was . . .
Andrew: I’m looking over your shoulder. There’s not much on the wall, but it looks like you’ve got diplomas up there, right? John: Yeah, I’ve got . . . It’s the only proof that I went through 11 years of hell to become a doctor. So I’ve got my medical school degree over there, I believe, and then my residency one is right behind me, and then that’s my UVA Microbiology degree. Andrew: John, why? Why would a guy who recognizes the internet, who wires four modems into his house to enable people to get online, why would a guy who can sell so well go through what you called years of hell? John: It didn’t seem like it at the time. That’s what . . . I grew up with a small town mindset. The wealthiest people in our town were doctors and bankers, and I loved science, and I was fairly smart. I made good grades. So it was a pretty logical path to become a doctor, especially when you grew up the way I did. We didn’t want for anything, but we definitely weren’t wealthy. There were no entrepreneurs in my family. And so I didn’t know that was a viable career path. And I don’t think I realized that truly after my residency was coming to a close, two or three things happened during my residency. I started another business or two, and it was logical at that point. Andrew: What was the business, the big one? John: So we had two, actually. So right after 9/11 my brother called me and said, “Hey, let’s sell barbecue grills online.” And he was the president of Sunbeam Outdoor Products, which at the time was the largest manufacturers of grills I believe in the world. And so I was on call the next night. I laughed, “Dude, I don’t have time to do this.” But I was on call the next night, only slow night on call in three years sleeping in the hospital, and I built grillstuff.com that night. I called him the next morning and I said, “Hey, dude, go to GrillStuff.” So he did and said, “This is perfect. Who’s is this?” I said, “Well, it’s ours. I built it last night.” We were in business together. So that’s how that . . .
John: Yeah. It was just . . . I don’t think it’s even active anymore today. I sold that out at the end of 2008, but . . .
Andrew: You ran that till 2008. By the way, I’m looking at Internet Archive. I always go there to see what’s going on. I could see a Father’s Day sale from 2002, tailgater barbecue tool set, not $64.95 but $59.95. How did you do at this business? John: How did we do what? Andrew: How did the business do for you in the beginning? John: We thought, hey, if we had a $30,000 year in 2002, then we’ve done great. We had a $30,000 day at the end of 2002. So it was move from that into some auto-racing safety equipment and boat covers and medical scrubs and a few other just niche type businesses. So it was [inaudible 00:11:25]. Andrew: Why did you do so well? I see here that you were also a Yahoo shopping top service. Why did you do so well at a time when most people were afraid to put their credit cards online? John: It was just first mover advantage. We were at the perfect time. The nascent Google platform had just launched. I think they . . . I can’t remember when the cost per click, the CPC version of AdWords launched, but it wasn’t maybe a month or two before after we started GrillStuff. And I could buy the barbecue grill for a penny or a nickel. I mean, it’s hard not to make money. You don’t have to even have a good website as you’ve seen through Internet Archive when you’re the only one doing it, right? So it was pent-up demand and we harvested that demand off of Google and arbitraged it quite nicely. Andrew: I can’t actually place anything in my shopping cart. I get taken to a dead CGI dash bin page. John: That’s a [mistake 00:12:14]. Andrew: But it’s a standard Yahoo store. You just built on their platform. You mentioned, “And then we did this and then we did that and then we did all these other sites.” Why do you keep going off and creating new sites instead of . . . You mentioned how you and Jeff Bezos basically saw the future of the internet at the same time. He stuck with one. Why did you do that? You just gave me a look as I said it. John: Well, he’s brilliant and I’m this ex-doctor sitting in Arkansas. So I would hardly say I saw the same thing as him. I saw elements of the same thing he saw, but that guy is a visionary. I am . . .
Andrew: But you both saw e-commerce coming on. You picked different products, but he stuck with one brand and kept expanding it. What you seem to do is go for multiple brands, and we’ll see that again in a little bit in the story. But why? It feels like there’s a logic behind that. John: There is. It’s a completely different mindset and mentality to build a multiple hundred billion dollar business than it is to find an exploit a small niche and exploit it. And Engine is probably the first company I’ve ever started that has the potential to be large enough for me to dedicate the next two or three decades of my life to. Everything else was smaller. We were, for all intents and purposes, the professional sports team in a high school league. All of a sudden here I’m going into not only a professional sports league but probably one of the better more competitive ones in the world. Andrew: And what you saw that you could do easily was what? By creating different niche sites was . . . Help me think through that logic because you saw something. John: Well, it was the same thing in Quiz Bowl. It was a very small niche. We were the best player in it. We dominated it. We moved into barbecue grills and before Home Depot and Amazon and Lowes and Walmart were in the market, we were the best. We were number one in it. Auto-racing safety equipment was kind of the same thing. And then Cowboy Boots. Here we are in a market where there were 135,000 searches a month for the word “cowboy boots” and the competition was terrible. It was at the time at least very mediocre, and then lo and behold we discovered here’s Facebook, there’s 18.2 million women in our demographic and if we could figure out how to harvest demand or create demand off of Facebook as opposed to harvesting demand off of Google, we’d be off to the races. Andrew: And these are two different groups of companies, right? One was the one that did the barbecue and other things and then the other one sold cowboy boots, and again, other collection of sites, right? So I want to understand the evolution of your thinking. When you were selling grills, it was you reselling grills online, it was you mastering what today feels like basic online marketing like buying ads, only you had an advantage of buying them at a penny. What else did you do that worked for you? John: I think it was a combination of understanding the math of the nascent systems like you described. It was far from easy to do back in the day. Yeah, AdWords looks so easy to do today. I promise you it wasn’t then. Building a website, likewise easy today. Very, very, very, very hard to build a website in ’01, ’02, ’03 or ’04 that could do it. So it was kind of a combination of having a good supply of products, having a good business mind to be able to make money off of every sale because these were bootstrapped businesses from ’01 to ’08. We had not raised any venture capital. They were all bootstrapped. And then the technology and the marketing expertise, we were probably mediocre at best at all three of them with that combined [inaudible 00:15:47] back in the early, early days. Andrew: This was Agora Group, right? That was the name of the company? John: Yeah, it was. Yeah. Andrew: You know what? What’s interesting is that as I go back and look at your sites, they’re not linking to each other as far as I could tell. There wasn’t a heavy emphasis on “This is part of the Agora Group. This is part of a family of e-commerce sites.” They were all independent. John: Yeah. I mean, it was just an arbitrage business. There was no synergy between a guy that bought a barbecue grill and medical scrubs. I mean, those are two completely different demographics. And knowing what I know today, you’re right, it probably would have been a singular focus on building a brand in a singular niche. I mean, look at Wayfair. Look at how well Niraj and Jeff have done. That could have easily been us. We could have easily done that model. They saw something we didn’t, and they saw the right thing whereas we saw a little more short-sighted view of how to make money without venture capital. Andrew: But you were making money. At your height, how much money did the Agora Group produce? John: It was probably . . . It was close to $20 million of annual revenue, and it was profitable, I mean, to the tune of 10-ish percent net margin. Andrew: And you were just pocketing the money. John: Yeah, pretty much. I mean, it was better than working as a family practice doctor, $100 a week for $150,000. So yeah, it was much, much better. I got pretty good at golf back in that day. Andrew: What did you do about taxes? We never talked about it, but the advantage that a company that raises money has is they build equity over time, don’t have to pay taxes on it. They finally have one big exit that could be the equivalent of all the money that you’ve profited over time, but they only pay capital gains tax on it, and so their taxes are reduced. Meanwhile, you lose half your money year after year and makes it harder for you to invest back in your business. What did you do about that? John: So we paid it. I have an accountant buddy that says, “I love paying taxes because that means that I had a good year.” And don’t hopefully subscribed to that anymore, but yeah, I had a $600,000 tax bill as this thing was spinning up, and I was like, “That’s a lot of money.” And so we got a little smarter about how to structure things going forward, but you’re right, yeah. Andrew: What’s one example of how to structure things that helped? John: Well, in the next one, the Acumen business, that was a business we did raise outside capital on, it was a growth business, and boy, I was able to go back and reclaim quite a bit of the taxes I paid in ’07, ’08. Andrew: Oh, because you lose money on this business that’s supposed to lose money, you get to get back some of the taxes from the years when you made a profit. Andrew: Even though you . . . Oh right. As long as you own more than a certain percentage of the business, right? John: Yeah, and I had a basis. I had some investment capital into it, so it wasn’t like I had zero risk in it. But yeah, that was nice to be able to reclaim a little of that. I think the rules have changed a little bit on that. I think it’s less aggressive of what you can do. I’m not a tax guy obviously. Andrew: You know what? I went to school for business, it’s one of the few things that they just didn’t tell you. No one says you could do that, and so you don’t factor it into your thinking as you’re building your business. All right. Let me take a moment to talk about my first sponsor and then come back in here and continue with the story. My first sponsor is a company called DesignCrowd. I feel like you could use them, John, especially since you invest in so many companies. How many companies in . . . Are they all in Arkansas that you brought money into? John: Pretty much. I think we’ve done 15 investments, and I think 13 of them are in Arkansas. Andrew: Wow. So, the companies that you invest in could use this. The fact that you’re constantly working with companies could use this. Here’s the idea behind DesignCrowd. Even somebody like me who has no design sense, I was going to take a moment and put on a shirt before I came on to talk to you so I could look dressed up because I know your reputation. I said, “I still can’t do it. I want to be comfortable.” I have no sense of design but I do have a sense of comfort. But even I could go to DesignCrowd. I fill out a quick form which makes it super easy, we’re talking about like two fields “What do you love? What do you hate?” Boom. “What do you need?” And then I get, not a dozen, but dozens of different designers creating different designs to show me what I could pick, what I could use. For me, it was for the design of the cover art for my podcast. I go through all of them, I give them feedback, and then I get showered with even more designs from designers all over the world. Each one has a different take on what I need. One of them made me reconsider everything because he designed something so beautiful. I asked him to make some changes, and then boom, he did it. I only picked him, and I paid for him. I could have picked any others. I could have said, “Hey, this is not working for me,” and not paid for any. But his was so good, I paid for his work and moved on. That’s the idea behind DesignCrowd. You bring them your best design, they bring you their best crowd of designers to create for you, and you only pick and pay for it the one that you like. They’re super cheap. And if you use this special URL, not only will you get to see the design that I got from them, but you’re going to see my smiling face . . . Actually, I don’t even smiling in this photo. I’m the only person who gets professional photos and I don’t even smile on them. There’s like a fake smile or trying to smile look on there. So you’re going to get to see me on there with my trying to smile look, and you’re going to see the design that I bought, and you’re going to see that you can get up to $100 off their already low prices. And don’t forget to notice that they’ve got a money-back guarantee right smack there on the page. So, here’s the URL for all that, my face and the money-back guarantee and up to $100 off. Its designcrowd.com/mixergy, designcrowd.com/mixergy. Beautiful work. All right. You were building this thing up. What’s the biggest challenge that you had along the way with Agora? John: It was being in a bootstrap business. We learned a lot of things around doing that. And I learned a lot of different things in a venture-backed business, but wouldn’t change a thing. I think we did a really good job of striking while the iron was hot. We turned a good profit for a good period of time, and I think I sold out of that business probably in a very strategic time for me. So it was . . .
Andrew: Did you sell before or after the world financial crisis? John: Right in the middle of the implosion. So what I saw was a Harvard Business Review article that said, “In times of crisis, in times of recession, in times of . . . ” Well, late 2008, right? Companies that invest in marketing gain a disproportionate share of market. So I went and actually tried to do that with Agora Group. My brother is much older than me. He’s 13, 14 years older than me. And it was a hard pass. It was . . . We need to batten down the hatches and be safe, which was a right decision for him. And I said, “I’m going to go raise capital and try and build something huge.” And so he brought in an investor and I left and started Acumen Brands right on January 1st, 2009. Can you imagine that in hindsight? Andrew: Yeah. This is not too long after that “Rest in peace good times” by Sequoia presentation, right? Andrew: Why didn’t that scare you? Why didn’t that make you think, “You know what? This is actually not going to work out”? John: Well, I didn’t know enough, right? I mean, a lot of innovations are from people that are foolish and in hindsight, that foolishness was paradoxically correct. So, Sequoia, I mean, yeah, I read that pitch. I mean, everybody read that. And here I am January 1st. I had this one piece of evidence, it was the Harvard Business Review article that says, “In times of crisis, spend more money,” and so that’s what we did. Andrew: You know what? Now, that’s something that . . . That’s the one big takeaway that it’s probably going to be impregnated in my mind, “In times of crisis, spend money. In times of crisis, build.” All right. So you’re out there, you’re raising money because you want to go big. I’m wondering what is it about you, John, that made you suddenly say, “I have to do this big thing,” instead of, “I’m really good at bootstrapping and most of the world doesn’t get it.” Why did you need that? John: It’s a great question. It was just an opportunity I saw and the one way to go get it was capital and we were severely limited in how fast we could grow, what we could do in Agora Group. And then this to me was just . . . It’s a new mountain to climb. It was something different to try. I’d bootstrapped, what, three businesses up to this point and done it fairly successfully. Well, is there higher rung that we could climb? Could we do something a little grander, a little bigger, a little equity based? And sure enough, it worked out pretty well. Andrew: Okay. So, you raise money. You and I talked about how Arkansas is important to you, but everything I read in preparation for this interview showed that there wasn’t much venture capital in Arkansas. John: There’s none, right? In 2010 when we raised our $3.75 million round from mostly in Atlanta was the first round in over a decade. John: Oh, yeah. Oh, yeah. Literally, in 10 years, there was no activity. Our second round came 13 months later, Dillard’s Department Stores. Fortune 500 company out of Little Rock, Arkansas led the deal. It was their first venture deal they’ve done in their 70 years of being a company. And then 13 months later, here we are, it was a $93 million round, which was at the time one of the four or five biggest rounds of e-commerce capital in history of e-commerce. So it was, yeah, quite arise from nothing especially in Arkansas. Andrew: And your goal was, it seems like to build the next version of e-commerce, the next collection of e-commerce sites, kind of what you did before only different. How are you going to do it different? John: The plan, it was just a bigger vision. The North Star was different whereas before it was profitability and sustainability, and this one it was build Arkansas’s ninth publicly traded company, and it’s $1 billion-ish of revenue. I think at the time the median volume of publicly traded eCom companies were, I think, $273 million. And so that was our North Star. We had a plan at least in theory that would have gotten us to that mark in 6 or 8 or 10 years and . . .
Andrew: Because you were going to do what with the extra money that you couldn’t do before? How was it going to change the strategy? John: Well, first of all, we started with a solid foundation. So, we installed Kiva robots which are pretty incredible. Amazon owns them now, but these huge suitcase-size robots that just roll around and bring the shelves to the picker. So we made the pickers 8X more efficient. And that was my first investment. I spent close to $2 million of the 3.75 on robots, and that was to prepare for the oncoming volume and . . .
Andrew: Because you guys you knew that if you can . . . You knew what? What were you noticing before that . . . To me, it wouldn’t feel like that would be the first thing that an entrepreneur would do. I’m looking at these robots. It’s pretty cool. But I wouldn’t have thought that that’s the first thing. Why did you know that that would be an advantage in your business? John: In hindsight, I saw where it was going and that you needed to ship in order to the same day and no one did that other than Amazon or Zappos really at the time. And Zappos had these robots, the Gap had these robots, Walgreens, a few others, and we’re by far the smallest. So it was to speed the customer and lifetime value of the customer play. And in hindsight, I probably wouldn’t have bought them at that point but . . .
Andrew: Wait till you build up your demand before you improve the speed. That’s what you’re thinking. John: Yeah. In hindsight, though, without those robots I don’t think we raised our Series B. Dillard’s Department Store out of Little Rock, they were installing the same system oddly enough. And that’s how I met Alex Dillard, the president of Dillard’s. He showed up at our office one day randomly and said, “I want to see your robots. We’re putting in the same ones. How long did it take you?” “Well, we did it in I think 86 days.” And he said, “Holy . . . Whatever. So we’re on month 18 of our install. How’d you do it?” And so I explained to him and that’s how we raised our Series B right there was on our warehouse floor talking to the CEO of a publicly traded company. Andrew: Because he saw how fast you could move. Okay. So, there are a few things that you noticed even back then. Obviously, fast delivery is important. I noticed looking over your sites over the years that free shipping became a staple of the sites, right? I think it was by 2008 if you spend over $100, you get free shipping. You told our producer lots of . . . You gave our producer lots of data about how Engine knows that if you improve the load speed of a website, people are more likely to buy. And I think I read somewhere that you talked about Walmart study on that, right? What else did you pick up on that are the subtleties of ecommerce that increase sales that people don’t know about that helps inform how you built Engine? John: The most important thing is the transition off of a harvest demand model to a create demand model. So I use harvest demand in a Google-centric manner. So user X searches for keyword Y and you deliver product Z to them. It’s very linear and straightforward. On Facebook it’s different. You have to create demand. So it’s all image driven. It’s all a love affair. It’s a different type of commerce. It’s content plus commerce truly. So on Google, what? 98-99% of revenue comes on that first day of the visit. Off of Facebook, if you do it right it’s just opposite because you have to think about how Facebook shopper is shopping. They’re in the pickup line like my wife picking up my three kids today, and they have a limited amount of time. They don’t have their credit card out. They’re just browsing. They’re having fun. So commerce has to be fun, it has to be content-oriented, and you have to collect the email addresses and you have to be able to remarket to these people. So it’s just a different way of doing commerce than back when Shopify or BigCommerce or some of the other ones started back before Facebook, before mobile, before all these things we take for granted today. Andrew: And you know what? And you mentioned it and I meant to come back to it and I didn’t, that with Agora, what you did was, you look to see what people were searching for. You even had the number of searches, I believe, either while we were recording before and you said, “How could somebody not build a website to sell this when there were so many searches?” So that was the way you were thinking about there and now you’re seeing that the world has obviously changed. Hayseed . . . Sorry, not a Hayseed. Acumen. The first e-commerce site that you built was what? John: We started in medical scrubs, so mom and dad had been proud that I was using the medical degree. And you know it was a sleepy little $2.5 million business all around harvesting demand off of Google of 100,000 searches a month for nursing scrubs, medical scrubs, etc., etc. Andrew: Is this was scrubshopper.com? John: Yeah. I still own that oddly enough and it’s . . .
John: Yeah. We bought it back a while back, and it’s not even on Engine yet believe it or not. We’re transitioning it over to that right now. Andrew: Oh, I thought it was the first site on Engine. I guess we’ll get to the first site on Engine in a moment. And by the way, I’m concerned that when we say “Engine” it sounds so generic that people aren’t going to know that we’re talking about your website where they could . . . and your software and they could go to enginecommerce.com. That’s the problem with saying a name that just sounds cool and not having a single domain for it. Andrew: Either engine.com or Engine Commerce. I really want people to know that we’re not just talking about like an engine as a concept but Engine as software that’s designed to implement these some of the ideas that you have. Andrew: Okay. So you come in with scrubs. I was looking at scrubs and I was looking at Hayseed Ventures. Hayseed Ventures is something you started later on. We’re kind of skipping ahead for a moment. And when I look at Hayseed Ventures’ list of companies that invest in, scrubs is one of them, Scrub Shopper, excuse me. How’s that work? John: You know what was funny is, as Acumen, we sold the majority of it in the private equity transaction. And after I left and after a lot of the talent left, the business didn’t do super well. And an opportunity came around to buy Scrub Shopper and we knew we were starting Engine, so we wanted to have some . . . It’s a small business. It’s not a big one at all. But what I’ve done with that is, I actually have a bunch of university interns running the business for us, so it’s how we find our talent and how we groom them. So we train them up on e-commerce. We have this little lab called Scrub Shopper, and it’s pretty neat. So it’s never going to make us wealthy, but it’s like I say, it keeps us in the weeds at one foot rather than 50,000 feet and trains up some talent. It’s . . .
Andrew: And it’s Hayseed then that is the investor. Is Hayseed . . . Are you the only partner? Are you the only . . .
John: Main partner. I own the vast majority of it. I did bring in some additional capital, basically a friends and family type round. I think we raised $2.9 million. And yeah, we started 13 companies really just looking for my next business. That was really the whole goal of Hayseed was to move Arkansas forward and then for me to find my next venture which . . .
John: Well, I’ll tell you why we named it that way. During the big round in late 2012, early 2013, when we were going to New York, Silicon Valley, we met with every investor on both coasts that would invest in this sort of thing. And I had a phone call in the process from the Wall Street Journal, a guy named Ralph Wilcon [SP], I believe was his name, and he asked me a question and I kind of downplayed it. I said, “We’re just a bunch of dumb Southern hayseeds.” And he said, “John, the last time I heard it was from a guy named Sam Walton and he took over retail. So we’re not about to do that, so don’t worry about that.” But that stuck with me, and so hayseed is just a derogatory term for a simple-minded southerner. So, underestimating, please do. That’s what we want. Andrew: So you were starting to see there that things were changing. You went from identifying there were enough searches for scrubs that you’ve got to create a scrub website and sell it online to seeing the Facebook and demand creation was the future. What worked for you with demand creation? John: So you have to put on the hat. We’ve raised now 3.75 million and the second round of 5 million, and we’d launched 20 stores. And we weren’t significantly bigger than we were when we had three. So nothing was really working. We were kind of at the end of the Google arbitrage era. And funny enough, it was right at the time Facebook’s Power Editor first came out. And so we were able to go in and build a million line and pivot table of ads and I’m saying we . . . It was me. I went and sat in my basement for a week, as my co-founder says, and popped up with an answer on how you create demand on Facebook. And so it was . . . That was the beginning of the success. It was beautiful imagery, it was email collection, it was remarketing through email and through Facebook. And it was crazy. 18.2 million people as opposed to 135,000 searches a month, so it was a dramatically different market. Andrew: Wait. So, you created a pivot table that helped you understand what the demand was on Google, and then how did you use that . . . No. Tell me. John: No. So with Facebook back in the day, it was really just you’d click through and create an ad, what you see is what you get. And they launched this thing called Power Editor. And in Power Editor you could upload CSV files, Excel files into it. And so I was probably one of the first to upload close to a million lines into Power Editor, basically, AB testing a million different ad variants at the same time. And so what we do is run a little water through the pipes, we find the top 100 of those ads, and then iterate with another pivot table off of that, and that’s how measure our success. Andrew: Oh, okay. For some reason, I heard you say Google and I was a little confused. That makes sense. Let me talk about my second sponsor. And then I see you looking over. Do we have another 15 minutes to continue with this? John: You bet. I’m at your disposal. Andrew: Okay, good, good. I’m going to keep going. All right. The second sponsor is a company called Regus. Have you heard of Regus or am I about to introduce you to a new company? John:I’ve heard of it, absolutely. Andrew: You heard of them. Good. It took me a long time to know about Regus. When I wanted office space, I looked around and all my friends gave me the cool, little local places, the cool, big brands, and I looked at them and I consider them because I like to be cool and I want to create a cool atmosphere when people come in. The problem that I had was they over focused around cool and not around getting worked done, and when I want to work I need to work, I don’t want distraction, I want to really obsessed and I want everyone else around me to support it. I go in there, I immediately get more work done. And I get more work done because everything is taken care of. No longer am I in my house where there’s all the food around to distract me and all the regular distractions. No longer am I considering even office space where people are partying around me. I get to have four walls in the door so I can get stuff done. And then I get to walk out to a lounge where I can hang out and see other people. In Argentina, it was people speaking Spanish. When I lived in DC, it was people speaking politics. Now I’m in San Francisco, it’s people speaking a little on some law firms in here. And then people talking about the funding round. It’s all a different atmosphere wherever I happen to be. And then they have a kitchen with coffee and anything I need they have. I remember one time I needed paper to bring home to my wife and I didn’t even have the patience to go order from Amazon. I said to the receptionist, “Can you get me paper?” she said, “Yeah.” She bought me a ream of paper. I remember being in one city, I needed to know where I could get good burrito because I felt like a burrito, she said, “Here’s an address for a burrito.” “Where do I take my wife?” The receptionist, all shared environment, “Here’s where you can go take your wife out and her have a good time.” Fan freaking-tastic. It also means whenever I go to a different city, I could get to sit in the lounge and have a nice quiet place to work. If I need to meet you, John, in say, Arkansas, I looked it up right now since you and I are talking, they have an office in Arkansas. I can bring you into that office and they’ll treat me just like they’ve known me forever because I’m a Regus customer. All right. Anyone out there who needs office space, I mean, really, you want to professionalize your business, take it away from your home, coffee shop, whatever, or you hate managing your own office space and you want a place where people can actually produce, go check out Regus. Once you sign up for . . . Forget signing up. Go check them out. Just have them give you a tour. Enjoy the free coffee. Have them sit you down and try the internet. Go to fast.com to see how fast the internet runs. You’ll see how beautiful it is. And if you don’t get more work done, move on. If you do, sign up with them and then you’ll know that you’ll have access to offices all over the world, literally, all over the world. We have a special URL where you can sign up and be like a friend of Andrew where they’ll take care of you just like me, or you can just email me and I’ll introduce you to the person that I work with. So, here it is. Go to regus.com/mixergy, regus.com/mixergy if you’re a do-it-yourselfer and want to sign up, or just contact me and my team, anyone on my team will tell you about our experience with Regus. And our email address is contact@mixergy.com. We’d be happy to make the introduction. You’re going to . . . Forget love it. Yes, you’re going to love it. You’re going to get more work done. Screw love it. If you want to love it, go buy an ice-cream cone. If you want to get more work done, sign up for Regus like I did. All right, John, I’m like out of my seat here as I talked about them. So I see you’re figuring this stuff out. Talk to me a little bit about what happened with this contest because all I did was read articles about how you mastered contests on Facebook, but people were skeptical of it and they were wondering why they were getting flooded. I don’t care about why you were getting flooded. I want to know the business logic behind it. What was going on? John: So you start with 18.2 million women that are in the core cowboy boots demographic. So they like country music, they like horses, they like rodeo . . .
Andrew: I’m sorry. How do you know that they’re in the core cowboy boots demographic? I would imagine because it’s called cowboy that it would be more men. John: Well, I’m a redneck. I grew up in Arkansas, all my friends. These are my friends. I understand these people. They go to country music concerts and in tailgates at Razorback football games, SEC football games, and that’s what you see is women wearing short skirts and couple of boots at least at the time. And so we pretty much knew our demographic cold just by association, just by nature where we were and that’s how we started was with those 18.2 million target audience. Andrew: Okay. And then you were saying that the contest helped you I guess identify . . . Well, you talk me through it. I have my theory because it doesn’t seem like it’s that out of control and crazy. John: So the first iteration was you drive someone straight from Facebook over to a product page just like you would on Google and hope they buy. Well, 1 out of 1,000 bought. So, it was terrible. It was a 10th of a percent conversion rate. And then the next iteration was, “Well, let’s capture their email address.” And so we’d send them to an email squeeze page and there would be no reason for them to do it. And so it went up, and we could eventually convert 1 or 2% of those people. So it was a lot better and order of magnitude better. But capturing email addresses was exquisitely expensive. It was like 10 or 12 or $15 to capture an email address. Well, we said, “Let’s do a giveaway and see if those people convert.” And sure enough, oh my gosh, it was nuts. So what we did was a three-step process. So the first step was you give us your email address and then we asked you to do three things. The first was to fan us on Facebook, the second thing was to share the giveaway, and then the third thing was to shop now with 20% off. And then after that, we sent you to a page where you voted “Which of the five boots were your favorite?” which was another like. So we literally just gamed the system around that. We captured 11 million email addresses in the span of six months doing this, and so what we did is set up this contest and then we put paid ads against it knowing that it would go viral. And so we’re getting email addresses in the beginning for like six or seven cents per email address, and those email addresses they weren’t quite as good as the ones that were commerce-based, but they were generating 8 and $10 of revenue or call it $4 of contribution margin. So 6 cents to $4, again, it didn’t take a genius to make money off of the nascent arbitrage that we had built up. Andrew: What happened then? How did you go from that understanding, that growth to layoffs? John: It was kind of . . . It was a little bit crazy. So here we are we go from, like I told you, $100,000 a month on that business in June of 2012 to a $14.5 million month that December, and so, of course, we’re super-hot. We’ve got venture capitalist reaching out from both coasts. And we quickly said, “All right. There’s a window here.” We saw the Google arbitrage shrink over time, so we’ve got to jump through this Facebook window aggressively. So we need a lot of capital and we’re going to start a bunch of these. And so that was our plan. We’re going to move into handbags and then motorcycles and a few other different categories. We raised a $93 million round of capital with that plan. And so that’s what we did. We opened the next site. Literally within a week or two of launching that site and that was probably April of 2013, Facebook completely changed two of their algorithms. So the first was organic reach. So Country Outfitter I think at its peak had 8 million Facebook fans and 56% of them would see everything that we did. That was our reach metrics. With one tweak of the algorithm, that went down to like 0.2%. So, literally, we had no organic revenues. So, that was . . . That crushed, number one, the Country Outfitter business, and number two it crushed the ability to build any new business on this strategy. The other thing that happened is clicks went from 1 and 2 and 3 cents on the mobile devices to 28 cents to 32 cents in a very, very quick period of time. So we missed the window. We thought it’d be 18 to 24 months. Our investors likewise thought it would be an 18 to 24 month window. And man, it closed in 90 days and partially probably because of us. They were probably legislating against the ubiquity of what we had done. So, yeah, lesson learned. I mean, it was a good risk to take at the time and it just didn’t work. We had the right team, we had the right strategy, we had everything. It’s just timing was not in our favor. Andrew: The same article that I just mentioned . . . Oh, no, this is another article, soon after it says that you left in 2014. Andrew: So this is soon after that you left. Why did you leave? John: It turned into a vertically integrated cowboy boot company and that is . . . I’m a technologist. I’m a marketing technologist more specifically, and it turned into build boots in Mexico design, etc. I just didn’t think I was the right person to lead the company, so I went to my co-founder and I said, “Hey, I’m going to step down. We’ve got to give the company a fighting chance. I’m not the right guy.” And so I left and the rest you can read about it. It was . . . That’s the chip on my shoulder, right? We were so close to building something great and grand and ultimately I wasn’t able to do it. It was a most humbling experience of my life as you can imagine to see my baby. This was like my fourth child and to watch it not do super well, especially after I left it was super hard, super hard. Andrew: You know what? I ran for class president at third year of high school and I remember being like so willing to put ads up and put posters and tell people to vote for me and so on that I lost, but I remember thinking at least there’s not a single thing I could have done more. Maybe I could have been smarter or better liked or something or taller or I don’t know what, but there’s not a single thing I could have done with what I had and I felt really good. But there have been times in my life I always look back and I go, “There’s one thing I should have done.” Like this one previous company I saw that I wasn’t staying on people. I wasn’t updating. Was there something here that makes you feel like, “I could have done this one thing, things would have been different,” or you feel more like me and my . . .
Andrew: There is. What is it? John: In hindsight, I don’t think we made a mistake in the first five years of running the business. I mean, of course, we did small things, but nothing really bad. Where the mistake started was overcapitalizing the business. So raising a $93 million round the capital, hey, that’s great for your ego. It wasn’t very good for the bar that you set. I don’t think I truly realized, “All right, if you take 93 million, you just set your exit valuation at 930 million.” I’ve got a 10X basically, the amount of capital [inaudible 00:47:47]. All that stock is preferred sitting above us, so we had to be aggressive. And that’s the way investors wanted, frankly. Andrew: Meaning you don’t get a profit until they get to see their profit and so you really have to drive it up to get them the profit that they need. John: You got it, yeah. And so the combination of making a super aggressive swing, knowing there was a window we all knew we’re going to close. The investors knew this, the executives knew this. I mean, there was no question about that. So I don’t know that I’d change anything. It was a pretty good bet at the time. The risk-reward was clearly there, but in hindsight, if I had to do one thing over again, that’s pretty easy. You just don’t overcapitalize the business. We raised $10 million and try to hit a double what we do it, we would have built a very nice $150, $200 million revenue business that was built on the tenets of profitability and instead we tried to build a publicly traded company, and I don’t regret it, but, boy, it was a lot of learnings from that as you can imagine. Andrew: All right. I’m going to skip over it not because it’s not interesting but for time reasons. But there was then Hayseed. You told our producer, “Look, I was meeting a lot of entrepreneurs, over 250 early entrepreneurs looking . . . You were starting . . . You wanted to meet entrepreneurs and you got to meet entrepreneurs. You also did Hayseed as a way for you to keep your wits and skills sharp. You wrote 12 checks to 12 super early stage e-commerce companies including Engine and you had some successes pretty quickly with . . . Is it called Menguin? Like men and penguin, right? John: You got it, yeah. We move them from Atlanta to here and wrote them a very small check and they had a $25 million acquisition two, two and a half years later after they moved. Andrew: You know what’s interesting? You move them there, I asked you before the interview, “How do I make this a win for you?” You didn’t say, “Make sure to tell people about the URL of the site so they can go and sign up for Engine.” You said, “And it would help if you could . . . I’d like for you to mention Arkansas.” I go, “Who cares? I grew up in New York. I didn’t mind leaving New York. I grew up in Queens. I couldn’t wait to get out.” What is it about Arkansas that makes you love it so much that you would move a company there, that you would stay there, that you would say to me, “Andrew, forget my interest. Arkansas interest”? What’s the point? Why Arkansas? Why do you care? John: Well, you said it earlier, “Come to Regus and we’ll hang out for the day and I’ll show you why.” This is home to me, and to give the next generation of entrepreneurs a different set of community, that’s my goal. And I’ve realized . . .
Andrew: What do you like about the community in Arkansas? John: It’s just friendly. It’s different. You have to come see it. That’s the only answer. And if you don’t come, you’ve got a direct flight from both San Francisco and New York. If you don’t come, you’re missing something. It’s a great place. Andrew: And so, is there an event that I would come to? Is there some reason or just come and hang out? John: Multiple different things. The Walton family is doing some incredible stuff. So, Sam Walton’s heirs. There’s the best Museum of American Art, I would preface, in all the U.S. We’ve got probably the first or second destination for mountain biking. I mean, Beaver Lake it’s . . . Yeah, there’s just a bunch of reasons to come, but it’s the people is what it is. This is home. Andrew: You know what? I guess I’m such a New Yorker, I don’t care about the people, but I should. What happens is, I end up in a place and then I love the people and I get it. Andrew: All right. So, you had a chip on your shoulder, you wanted to build Acumen much bigger than you did and you said, “Mm.” All right. I hate to say this, but you told our producer, I believe, “What about my age?” What did you think about your age and how it played a factor and whether you were going to start or not? John: Yeah. I’m 43 and I’ve got three kids, 10, 12 and 15. And if you read the studies, and a lot of them say, “I’m too old to do this.” Some other studies say, “I’m actually the perfect age to do this.” So, yeah, 43 to 50, I think can I dedicate seven years to figure out if this is the right thing or not. Yeah, I’ll work here the rest of my career if it is the right thing. And so here we go. That was a tough decision for me. It’s a little . . . I have to work a little differently. I can’t work 20-hour day, seven days straight. I can’t ignore my family anymore. I, fortunately, didn’t damage my family, but I easily could have in Acumen. Andrew: So what are doing to allow yourself to not work to a point where you damage your family? John: It’s balanced, right? I mean, when you’re on, you’re on, when you’re off, you have to be off. And it’s just this work-life balance. It’s spend . . . I don’t miss volleyball games. My girls play volleyball. I don’t miss football games. My son plays football. We play video games every night. I’m not going to miss that. I have one shot at that. So it’s just a little bit of balance. Now, don’t get me wrong. I’m a hard worker. I’m putting 80 plus hour weeks into this thing. That’s how I was trained. 100 hour a week in medical school, absolutely, I get it. But it’s just a little bit different. I’ll walk out of here at 3:00 in the afternoon and go watch a volleyball game whereas in Acumen I wouldn’t. Andrew: So, a lot of people were to look at this market and said, “Closed. There are players in here. You got Magenta, you got Shopify.” You looked at it and you said, “I see a big opportunity.” What’s the opportunity that you saw in creating software to enable people to create and manage their e-commerce sites? John: I saw an article in “Internet Retailer Magazine” right as we were contemplating this, and I was on a plane to Silicon Valley when I saw it to go meet with some VCs to say, “Hey, am I sane to even contemplate this?” And the article was “Nearly half of all e-commerce stores are looking to re-platform in the next year.” And I’m like, “Wow. That’s an interesting statistic because that’s a lot.” It’s really hard to re-platform an e-commerce store. I’ve done a dozens of those over the years. And that coupled with the experience we had with, (a) our portfolio companies finding the right software, (b) with our own experience which I can share a little bit about as well, and, (c) meeting with 250 entrepreneurs, we started to see a pattern. It was this million-dollar ceiling as I call it on Shopify. So you can grow your business off Shopify and makes it super easy to get your first sale in your 10th sale. They don’t scale super well. There’s a lot of things that you want to do differently once you hit $1 million to $10 million run rate. And we just saw an opportunity to come in, and as operators build the software that you’d need to operate and bust through those milestones. Andrew: Can you give me an example either from one of the companies that you invested in at Hayseed or your own experience of where the limitations were of existing software? John:Oh, gosh. Menguin is the perfect example of that. I mean, they struggled and struggled and struggled. They looked at Shopify. They looked at Magento. I think they even used Drupal, which is a content management system. It’s not even an eCom platform. And had Engine existed at the time, I mean, literally, they were the perfect prototype for what it was. It’s an experience that it doesn’t fit into Shopify’s one size fits all approach. So it’s just like Henry Ford. You can have any color you want as long is black and that’s what Shopify is. We’re renting a custom tuxedo and creating an event and doing 900 other things to . . .
Andrew: What was it that was so unique about how they did things? I obviously understand rental is different than shopping, but can you give me some specifics that wouldn’t fit in anyone else’s structure? John: Well, you’d have to shoe-horn it in a lot of times, and that’s the wrong answer for most things. So they acquire a bride a year before the wedding and they talk to them for an entire year. You buy the tux, rent the tux six weeks before the wedding. So there’s a lot of things that go into content plus commerce. There’s a lot of things that go into drip campaigns around how you acquire email addresses, etc., and then setting up the event. I mean, jeez, I don’t even know how you could do this on a Shopify platform. Andrew: Because you set up an event so that multiple people can all rent tuxedos at the same time. Andrew: And you all know, “This is our spot. This is how we all look alike.” Got it. Or it match for the event. All right. So, you saw that and you said, “Half are leaving.” Did you do any research? Did you talk to other retailers who weren’t in your orbit to see whether they want this? You’re smiling. Tell me what you learned by doing that and who did you talk to? John: It’s a bunch of apathy, right? I mean, do you love Shopify? “It’s okay.” Do you love Magento? I mean, you can get some angry answers when you ask that question. “No, I hate it. There’s just nothing better.” Do you love BigCommerce? I mean, likewise, it’s apathy. You don’t have these . . . I mean, at least in the people I talk to and these are bigger larger stores. Andrew: And that’s a difference because if I were to talk to say Cat from bestself.co, where she sells journals, her business, her life, was created on Shopify, but you’re saying once she hits a certain milestone, it’s going to be harder to sell on Shopify because they’re not going after those sites. What’s the milestone? John: Shopify to me does one thing exceptionally well. It’s exactly what you just described. Mom and Pop selling 1 to 10 items, trying to get up to $100, $200, $300,000 of revenue, man, it’s fantastic. I don’t want that market. They’ve already nailed it. It’s perfect. Where we think we can compete and what people want in the market is once they hit a certain size, scope, and scale, and is it $1 million, is it $2 million, it’s in that area, they start to see customizations, things that could improve conversion rate or improve customer lifetime value that they just can’t do inside of Shopify is black box or Magento. Magento, you can build anything you want, but it’s very hard to do. It’s not a developer-centric platform. So, we’re coming at with a developer-centric platform that is fully customizable yet cloud hosted and easy to use and has a lot of these marketing things. Andrew: I read one of your posts about Shopify where you said, “Look, the counter-argument that people might bring up is that you can add plugins to Shopify, but with every plugin you slow down the site a little bit more potentially, actually, almost inevitably, and some plugins are taken care of better than others and you are now at the hands of the plugin maker.” And what you noticed in the research that we mentioned earlier is the slower the site is, the more sales you miss. And if you’re selling 100 a month, it’s not a big deal. You’re probably not going to lose one of those hundred people. Maybe you will, but those people are more likely to be there, but the more traffic you pump in, the more that matters, the more those numbers are significant. Is that right? John: Yeah. I mean, the case study here, one of my buddies, he runs a $50-ish million e-commerce business and he actually invested in Engine and he did it on the thesis of, “Hey, we run on Shopify $50-ish million there.” He’s got to be one of the largest stores on there. He said, “My page load time was 9.8 seconds.” It’s terrible. I mean, 9.8 seconds in 2018. You got to be kidding me. Andrew: One second is too much. John: One second too much especially on a mobile device. Well, he spends, I forget the exact number where it’s like 9 or 10 to $12,000 a month on [Akamai 00:58:46] just to make his site faster. And I asked him, I said, “You know why it’s slow, right?” He said, “Yeah, it’s the plugins. So, I have to have plugins to make it work. They’re all external. Some of them are shoddily maintained, and it’s plugin soup.” So, we took the opposite approach. Is ours as scalable as Shopify? Yeah, probably not. Is it one that we can build 100 or 1,000 or maybe even 10,000 loyal dedicated fast growth e-commerce companies? Absolutely. So it’s just a different mousetrap for a different type of customer. Andrew: Ari [inaudible 00:59:42] who produced this ask you, “Who was your first client?” because we want to understand the evolution of Engine. You said, “We were . . . ” I thought Scrub Shopper was the first site that you put on your platform. No? Because earlier in this conversation you said it wasn’t. John: Yeah, we built it on . . . We have it on there. We just have not flipped the switch because we’ve been so busy onboarding other sites. We have it in development . . .
Andrew: Oh, so you created a Scrub Shopper version that’s built on Engine, but it’s not public yet because you haven’t been able to turn it public, then you went to someone else . . . You’re smiling as I say that. Then you went to someone else and they asked you, “Do you have any customers?” and you said, “Yes, we built it for ourselves. Here you can see it.” Right? John: That’s exactly what happened. Andrew: You told Ari when it came to finding another customer, and I bolded this, made it huge, underlined it in my notes. You said, “We were looking for someone with a tremendous pain.” What’s the pain? First of all, why pain? Why were you looking for someone with pain? He said, “My timeline is this. Can you still do it?” I said, “Yeah, we can do it if we push pause on everything else we’re doing.” And so, sure enough, we did it. So, beardedgoat.com is Terry’s site. It’s not fully advertised yet. I think they’ll start that here in the next couple three weeks when their fall line gets in. But they were the first, they had a felt need and we sold it for them. It was pretty neat. And boy, the site’s fast. That was another thing that he mentioned as well. So, Bearded Goat it was the first. And then I will tell you the next several clients yet because they’re going live like this week, the following week, etc., etc., but they all had a different felt need. So we’re solving one big pain point for each of these people that they can’t do on it. And eventually, you get to a system that solves multiple pain points and does it in a different way. Andrew: So Bearded Goat, their big need was “We’re about to launch. We need something.” He said, “I’ve had enough experience with the platforms that don’t work that I need to make sure from the start we get one that does work.” And so Terry knew you [inaudible 01:01:54] them as the first customer. Andrew: What was the next . . . The other clients, what was their big need? John: The next one was around subscription commerce. So this was a Shark Tank company. Actually one of the successful ones on Shark Tank, got an investment, and so what they found was their customer lifetime value was not super good, their checkout experience, their upsell experience, all that. Shopify is known for a pretty painful checkout experience. And so we’ll actually roll our checkout experience out with controlled chaos, which is the client in the next week or so, it’ll roll backwards into Bearded Goat. And so, yeah. Check out, it’s subscription, it’s a few other things that they needed. Andrew: And as you’re doing this, how do you know that what you’re building for each person’s need is actually going to be useful for others or if you’re getting stuck in the consulting trap where you’re basically starting to create one-offs? John: That’s not me. You do not want me as a consultant. I’m looking for scale, and so we were doing more around interviewing the potential customers than soliciting. I mean, jeez, we’ll build your website for you cheaper than Aunt Sheila’s design shop. I mean, that’s not a hard sell for me with my team on board, right? So it was more of us finding the felt needs that we wanted to solve and the first five customers as we roll them out, you’ll kind of see the evolution of what we’re trying to do and why and about the 10th client is when it starts to turn into a more scalable type system. Andrew: I’ll close it out with this. I know we’ve gone overtime here. The thing that kept standing out for me every time I hit your site was, number one, it’s very pretty. The enginecommerce.com it’s really pretty. E-commerce software sites tend to be pretty crappy. But the other thing was the word “content, content, content.” I’m trying to understand how you guys do content differently. I know that Shopify has a blog and all that, right? And that’s the way most people think about it. You’re doing it so different. You’ve got images here that show me it’s different, but I guess I don’t know enough about this space to understand what I’m even looking at when you show me commerce, CMS, and when you show me what you do for content. John: Yeah. I mean, if you look at Shopify’s blog it’s a separate entity. So it sits there at shopify.com or store.com/blog or blog.store.com and it has no integration with the product itself. So there’s three things that we do a little bit differently. First of all, number one is it’s full integration, so you can write 10 pairs of cowboy boots to wear to your next Country Music Festival. And if you’re out of stock, well the blog posts will update. If you change the price, well, the blog posts will update. So it seems like a simple thing but it’s actually a lot. Andrew: Oh, so, if have 10 and I’m out of stock on one, it just changes the blog post to nine cowboy boots you’d want? John: It could, yeah, or it could just say “Out of stock” whereas in Shopify . . .
Andrew: Right next to it. Got it. John: Yeah. So it’s a dynamic relationship. The second is shoppable imagery and shoppable videos. So, imagine a full-screen shoppable image with a plus on it, you click and add it to cart from that, and so with that, you have the ability to create lookbooks and then add user-generated content. So, to me, the unit of economics here is in the image or the video or it’s the content itself and you’ll be able to buy it directly from that rather than this huge overwhelming grid of products that has been the same since the Yahoo Store started and . . .
Andrew: Okay. Now I get that. Just for in case anyone who wasn’t following it the way that I didn’t the first couple of times that I saw it. I get it now. I see a photo of a woman, she’s wearing glasses, she’s sitting down, she’s . . . It just looks like a nice photo, but if I mouse over I can see that there’s a plus next to her glasses, and if I hit the plus, I can see that it’s a Ray-Ban club master aluminum black, I can buy it for $139, just hit the button right there, and it kind of stays out of the way until I say I like it enough to buy it. That’s what you’re talking about. John: Yeah, the grid of products works great on a desktop device. That’s the way people want to shop on mobile devices is full-screen image-centric. It’s Tinder as opposed to match.com, right? I mean, one was designed for mobile, one was designed for desktops. And we think we have really the first e-commerce designed in the mobile era in 2018 rather than 2008. Andrew: Okay. And what about integration with things like . . . Like, I hear a lot with Shopify stores that they are now using Clava [SP] for email because it’s so directly connects to Facebook ads. Are you doing anything like that to connect it to social platforms? John: Yeah, we can connect to everything. We have a few different ways we do it. Number one is just a direct connection through our API. Number two is through Zapier if there’s things that we do not have the direct things, Zapier works perfectly. And then we’re building a lot of the things internally. So if you look at Shopify with 10,000 or 20,000 or 100,000 plugins, we’re never going to get to that point. We don’t believe you need that many plugins. First thing I do when I come into a Shopify install, I start uninstalling plugins, actually. So really only the ones that drive conversion rate and revenue and lifetime value, those are the ones that we’re focused on. So it’s, like I said, a different way of skinning a different cat, probably. Andrew: All right. Here’s a cute little thing that people don’t have to have but I would totally turn this on if I was on Engine. You guys even have an Alexa skill where I can just shout to my Echo device, “Hey, how’s my store doing today?” I love that. Anything with stats. Like, you could see it in my interviews I care about stats. It’s one of the first things I do in the morning when I wake up. I check my stats. All right. For anyone who wants to go check it out, go look at enginecommerce.com. What you’re going to see is a really beautiful site, and then you’ll, especially if you’re in e-commerce you guys are going to understand this much better than I could have even explained it within this interview largely because we’re audio only and I think a lot of this is visual. And I’m grateful to you so much, John, for doing this interview. Thank you. John: Thanks so much, Andrew. It’s a pleasure and come to Arkansas. I’ll show you why it’s so great, all right? Andrew: I’d love to hang out. Andrew: And I want to thank my two sponsors, designcrowd.com/mixergy and regus.com/mixergy. Boy, John, I took an extra half hour with you. Thanks. John: Thanks so much. It was fun.